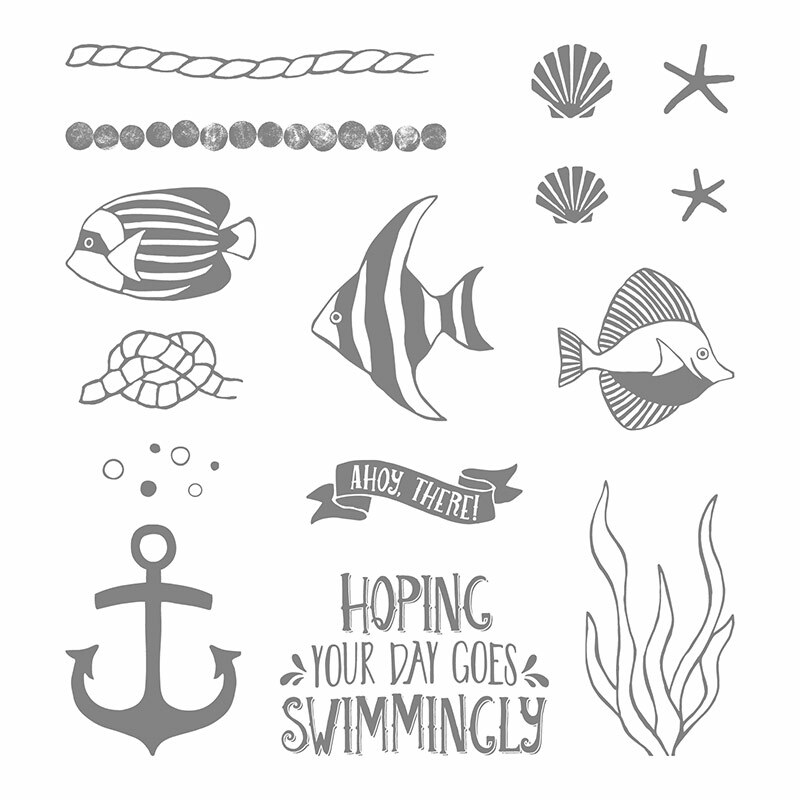 We haven't had a sea themed or nautical card for sooooo long now, which is so unlike this blog! One of the things that mystifies and terrifies me is the sea. I love it so much. Everytime Stampin' Up! 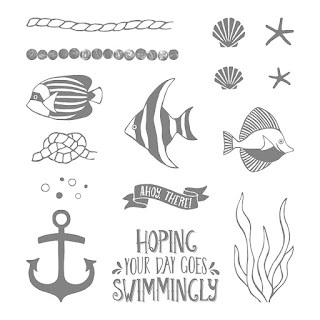 bring out anything nautical I have to buy it... I'm such a sucker for it! Today I have used some Designer Series Paper (DSP) which I used a lot in the past and I grew out of the habit of using it. I'm so glad I did. This paper is called By The Shore, not to be confused with 'By the Seashore', which is a retired stamp set of the same name.